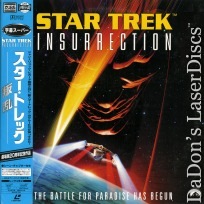 Star Trek Insurrection 1998 - 103 min. 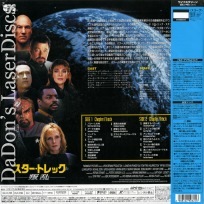 - Color Genre: Sci-Fi Rated PG Country: Japan LaserDisc Movie Storyline: The first of the nine STAR TREK films to feature largely computer-generated special effects and is again directed by Number One, Jonathan Frakes. While on a survey mission, Captain Picard and the crew of the Enterprise stumble on a conspiracy originating high up the Starfleet chain of command that involves a distressing plan of ethnic cleansing. On a remote planet, a small, peaceful race of human-like beings called the Ba'ku seems to be immune to the ravages of aging. 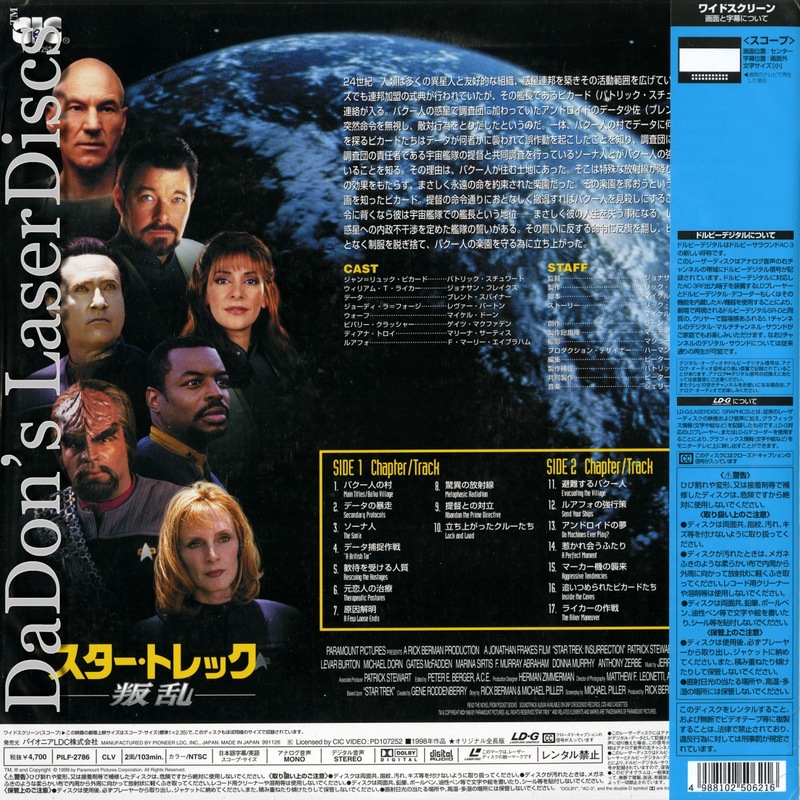 Head bad-guy F. Murray Abraham leads another race for which exposure the planet's radiation is the only cure for an advanced state of degeneration, and, using clandestine Starfleet connections, arranges to wipe out the Ba'ku unless the Enterprise has anything to say about it.